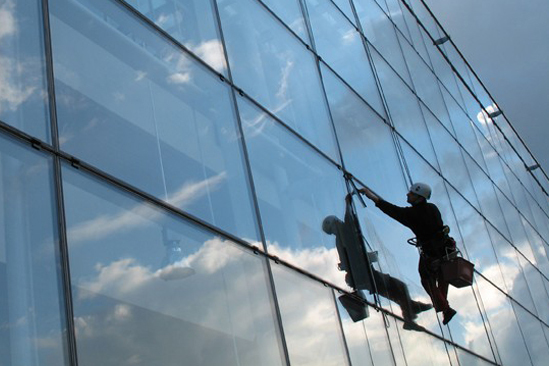 Sonaa Abseiling Service is specialist in high rise window and facade cleaning in Sydney. Having worked on some of Sydney’s historical, commercial and residential buildings give us the huge experience to deliver high quality cleaning service. We understand the importance of maintaining a clean building, helping to attract new tenants and preserve the health of existing residents, so we offer our services at a rate every landlord and body corporate can afford. Working with Sonaa, you’re guaranteed a safe, thorough and professional service at a competitive rate, delivering exceptional results without breaking the bank. Start a conversation with our team today and find out how we could help your property look better than ever. Sonaa is a versatile company utilising a highly skilled team of tradespeople and technicians. We provide professional window cleaning services to the construction, hotel, and retail industries, helping everyone to enhance the value of their property. Our cleaning services extend beyond your property’s external windows. Pollution readily builds upon other parts of the building’s exterior, affecting the appearance and integrity of more than just the glass. Given enough time to build up, this pollution could have an effect on the building’s appearance, and if not cleaned regularly can seriously reduce the longevity of decorative elements attached to the building. Sonaa offers a full suite of services helping you to keep your building in top condition. To better support you and to ensure that structures of every design and material can be properly cared for, we provide both low and high-pressure washing services helping to maintain the entire facade. Make the right choice for your property and select Sonaa as your commercial window and façade cleaning company. Sonaa provides a diverse range of services including painting and remedial concrete repairs, ensuring that your building’s value is protected and enhanced throughout its lifespan. Contact us at our Sydney office today on 04 1532 0802 or send us a message via email at info@sonaa.com.au and we’ll get back to you as soon as possible.